Coyoty eats sweet potato and chorizo hash. 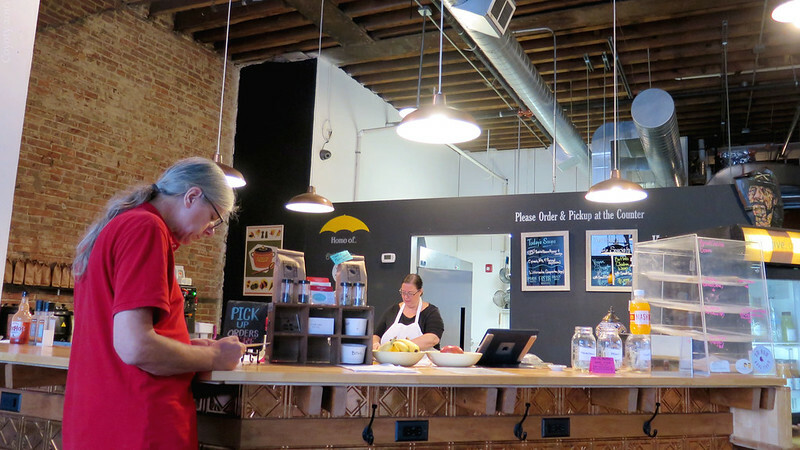 At the Umbrella Cafe in Pittsburgh, PA in June. 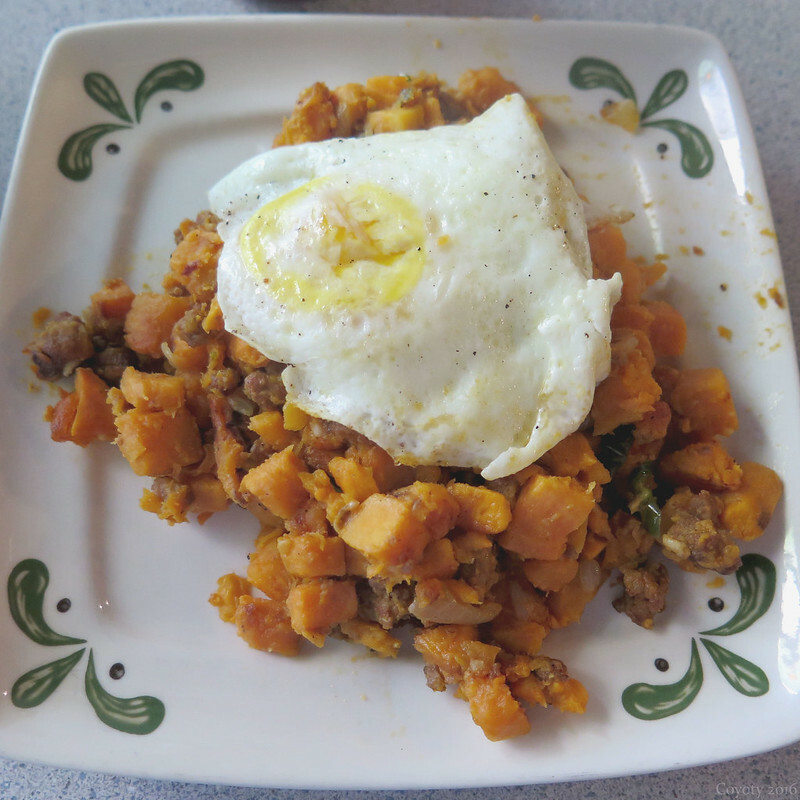 Sweet potato and chorizo hash with fried egg. 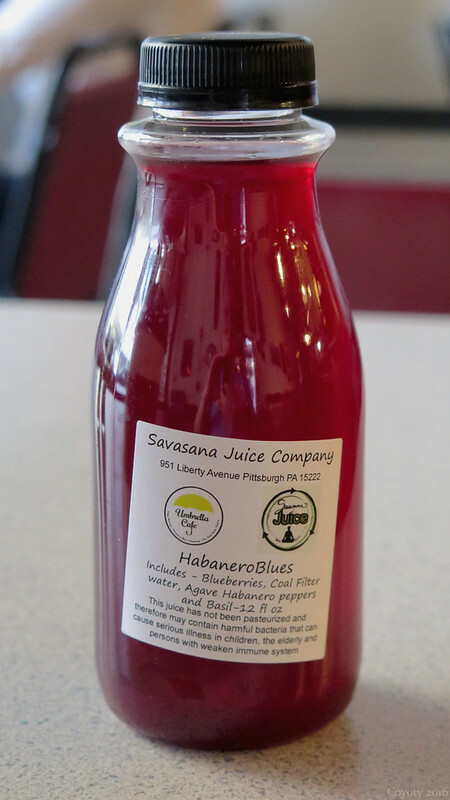 Habanero and blueberry juice with agave and basil.